Grades: K-12 9:50 a.m. - 3:50 p.m.
Parents send us their best, their children, and entrust us with their growth; we do not take this responsibility lightly. Know that every decision we make we do so in the best interest of all children. 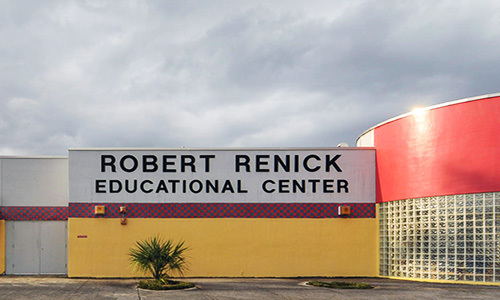 We welcome you to take part in your child’s schooling and become involved in all that happens at Robert Renick. Our doors are always open and your suggestions are appreciated. Please take the time to become informed because in the long run this could be what most benefits your child. Part of my vision for students is to provide them every possible resource and opportunity to bloom academically and socially in an environment where they feel safe, secure, and valued – and we have the fabulous staff ready to make this happen! My hope is for students to walk away from Renick with an increased love of learning and a desire to make a difference in the world. With this is mind, I look forward to a productive and rewarding year ahead.